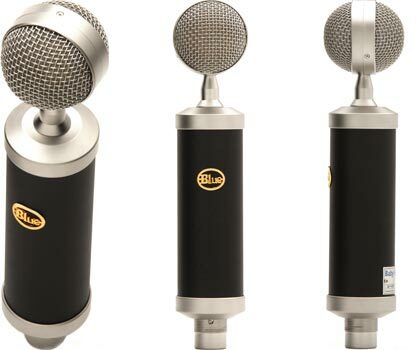 Blue Microphones' transformerless Baby Bottle cardioid condenser microphone delivers a rich, accurate midrange response that makes it ideal for recording vocals, drums, and electric guitars, along with more difficult sources like saxophones and horns. 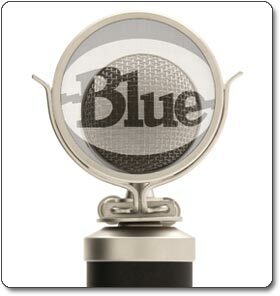 It utilizes Blue's famous hand-tuned and tested large-diaphragm capsule and a Class-A discrete circuit to achieve superior detail and clarity. And its unique, vintage-inspired appearance adds a little something extra to your studio presence. The complete Baby Bottle package includes a pop filter, custom spider shockmount, and wooden storage case. Features a seamless blend of style and sound quality. View larger. 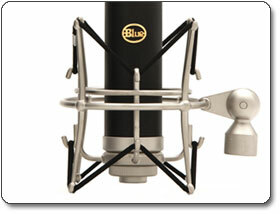 Includes shockmount, pop filter, and case. The Baby Bottle is backed by a three-year limited warranty. Baby Bottle cardioid condenser microphone, shock mount, pop filter, and wooden case. The Baby Bottle can handle difficult sources like strings, flutes, saxophones, and brass instruments.